If you are like me and want to avoid chemicals that can disrupt your hormones, take a moment to explore the world of Beautycounter! I don't wear make-up all the time, but if I do I want it free of heavy metals that can disrupt my thyroid or fragrances that can contribute to weight gain or headaches. Beautycounter was founded by business savvy mom Gregg Renfrew after learning that the personal care products industry is under-regulated, and companies aren’t required to tell consumers what is in the products they sell. 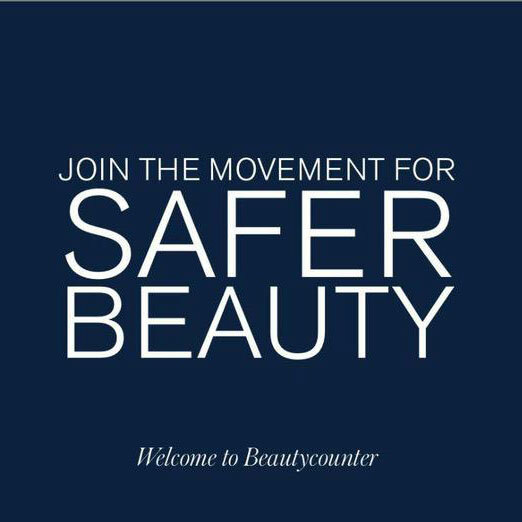 Beautycounter was started to offer better, safer products and to bring truth back to beauty. The name Beautycounter has two meanings; the products are as high-preforming as any at a highend department store beauty counter, and they are countering the beauty industry with integrity in ingredients. Beautycounter has banned 1,500 questionable or harmful ingredients from use on its "Never List." You can look up any ingredient through their site glossary. And they third party test for heavy metals, which I love. Beautycounter offers a variety of high-performing products for men, women and even kids. While you may find ‘natural’ products elsewhere, you are still susceptible to industry greenwashing (making a product sound more natural than it is), and it’s hard to find those really special products like your favorite lip gloss or mascara! Don’t like something you bought? Wrong color lipstick? There is a postage-paid label in every box for easy returns. Join their Band of Beauty rewards program for just $29 a year and get 15% credit back on purchases, a welcome gift when you spend $50+, and free shipping on orders for $100. Just add this item to your cart at check-out. Check out my personal favorite products in the video below. Click here to explore my Beautycounter store! Take the Skin Care Quiz!